I bought this lens to take into Costa Rica where we are often slogging through the rainforest and I need both long distance and up close zoom lengths without carrying two cameras and not changing lenses constantly. This lens has been fantastic for that purpose. It has become my most common lens when I don't know what to expect and cannot carry other lenses. 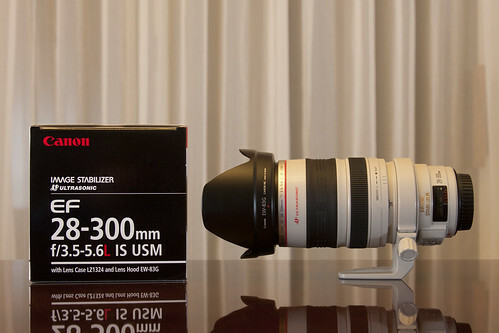 A handy, compact zoom lens for versatile and easy subject selection while traveling, etc. The highest optical performance in its class, plus the convenience of focusing as close as 2.3 feet over the entire zooming range. A powerful ring-type USM drive provides silent, high-speed auto-focusing, plus the wide zooming range provides an easy, enjoyable picture-taking experience.